San Diego Unified Superintendent Cindy Marten Says “READ” DISTRICT DEEDS!!! “The practice of centralizing services has not only angered parents around the country, but inspired multiple lawsuits. The most famous case is the New Jersey case of J.T. versus Dumont Public Schools, filed on behalf of a kindergartner with autism who was forced to move to another school in his district. Interesting article about the Parent of a Special Needs Student that struggled with Special Education “Centralized Services” like the ones proposed by Supt. Marten and the Board of Education. Good information and examples of how Parents can “push back” to force SDUSD Supt. Marten and the Board to do what is ethical with Special Education Students. “You have to look at whether a district giving out layoff notices is experiencing declining enrollment, or if they have their own unique budget problems. Not every district is the same,” he said. A couple articles looking at the paradox of School Districts (including SDUSD) laying off Teachers and still claiming a Teacher “shortage”. Some good examples of how the poor financial management by Marten and the Board is backfiring in more ways than one with their $124 million Budget Disaster Scandal. A “blast from the past” story written by former VOSD reporter Emily Alpert. The most interesting part is that the NEW CFO that SDUSD Supt. Marten just appointed, Ms. Gamy Rayburn, was part of the Former Superintendent Alan Bersin finance team that improperly took money from Title 1 funds to pay for the deficit at that time and was forced to pay it back by the U.S Department of Education. Marten and Chief of Staff Stacie Monreal were also brought into the SDUSD by Supt. Bersin. In 2017, how amazing what contract concessions will do to change your view when the Superintendent dictator promoting them is your own patsy. This appointment also makes you wonder how Marten plans on misapplying Title 1 funds through the current Single Plan for Student Achievement (SPSA) at each SDUSD school now she has another Bersin expert on board! Be sure to click on the links within the Alpert article to read about the whole scandal. Finally an upbeat article to end your week! The study also points out that you don’t have to have a good voice to enjoy the benefits of singing. The story DIDN”T mention how much harm listening to a voice like ours might do to others. We promise to sing quietly! Your family has been injured by the San Diego Unified School District, go to the District Deeds Complaint Forms page to find instructions to fight for your Civil Rights! Please Click the Link Below and sign the Petition Today and READ the COMMENTS to Support the REMOVAL of Marten by SDUSD Stakeholders! FIRE San Diego Unified School District Superintendent Cindy Marten Immediately! 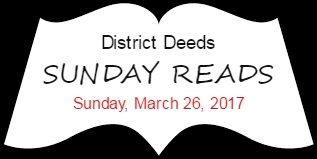 You want to be sure you don’t miss an issue of District Deeds, click the “follow” button below and you will get an email automatically when an article is published on District Deeds. If you prefer social media, click on Facebook, Twitter and LinkedIn and follow District Deeds!!! Fire SDUSD Superintendent Cindy Marten! Supterintendent Cindy Marten "White Woman Mafia"